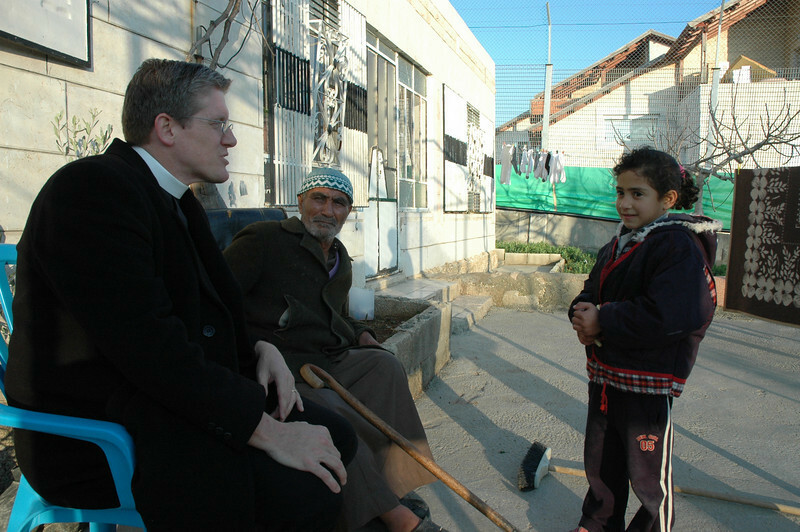 Bishop Michael Rinehart, left, ELCA Texas Louisiana Gulf Coast Synod, greets a young girl at Sabri Ghrael Abu Sameer's home in Beddo, West Bank. The home is surrounded by the Israeli separation barrier. With Rinehart is Sameer.